As we head into the busiest home-buying season, Reno buyers may be looking for any advice they can get to come out ahead in the negotiations. 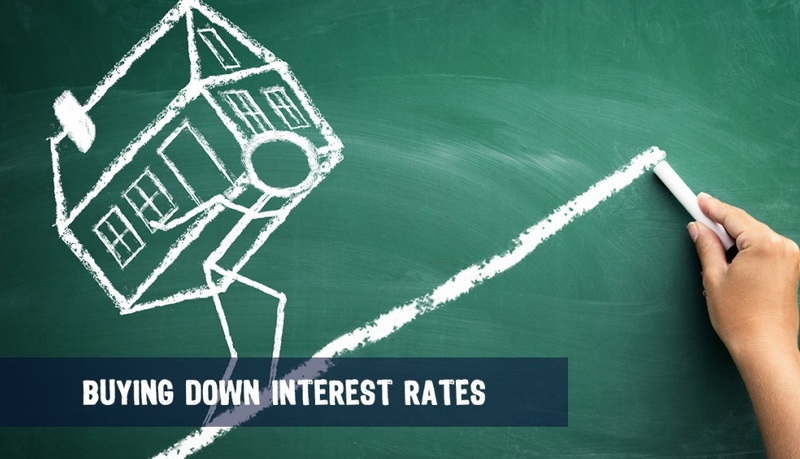 We know interest rates are on the rise – buyers will pay $57 more per month for their mortgage than they would have by locking this time last year. We also know that our Northern Nevada housing inventory has not kept up with the interest and demand in our area – see related articles here and here. So it’s both reasonable and wise to assume that you are jumping into a very competitive scene if you are looking to buy right now. Say you’re looking at a home and your smart realtor has done their research, finding out the seller needs full asking price on this home. Also the home is priced right, so you won’t run into any appraisal issues. Your realtor calls your badass lender and together they come up with the strategy to offer $5k over asking with the seller crediting you $5k towards your closing costs. You’re going to use that whole amount to buy down your interest rate. The increase in sales price is tiny but the buy down will make such a big difference on your monthly payment that you just became a savvy borrower. If you’re looking at new home construction, you can still use this tool. Plus, you’ll want to look long and hard at timelines. Builder delays will cost you not only on the rent you’re paying while you’re waiting on your dream home to be completed but on the interest rate you’re locking. Long term rate locks are available – 90 days or even 6 months in some cases, but they come at a cost. Builders will often offer a credit towards your closing costs to work with their preferred lender. The preferred lender has to pay the builder for these referrals in some manner along very blurry legal lines. So they typically just jack their costs or rate up, so that your credit sounds nice but is actually a wash when you see the bottom line. Demand that the builder give you that credit to buy down your interest rate with a lender of your choice. And then, get it in writing that if the builder doesn’t close on time – they will be paying for any extensions needed on your rate lock as well. Those are just two of the ways to get smart about your buying and financing strategies. The key is to be always exploring your options and working with professionals who are constantly educating themselves on how to get creative for their clients. Reach out to me anytime to discuss how you can improve your tactics for tackling Reno’s current housing market.